This post contains affiliate links which earn me a small commission. 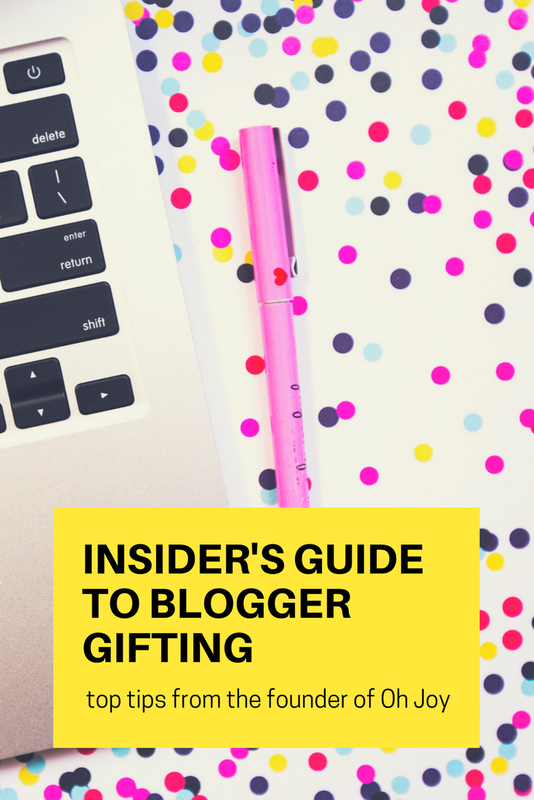 If you have been wondering how to go about gifting your products to bloggers/influencers, there are some tricks of the trade that will certainly help you get what you’re hoping for. I happened to see a great story on the @OhJoy Instagram recently where founder Joy Cho spelled out how she goes about influencer gifting. 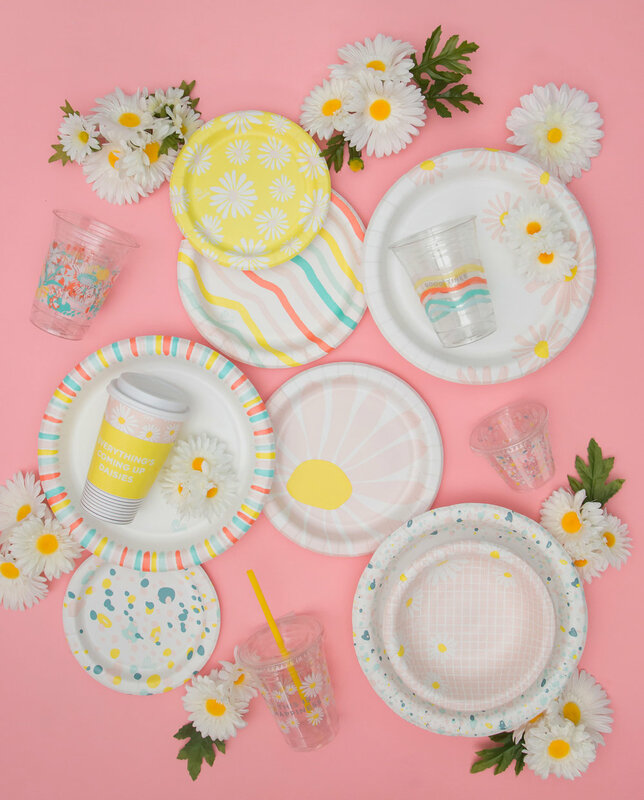 She has an awesome new line of fun and colorful paper goods that she created along with Cheeky (at Target), so here are her thoughts on how to gift your products successfully! Be sure to check out my other favorite Oh Joy collaborations here, like the fun hat box suitcase that I’ve been loving! 1. Research the best fit for your products. Make sure that blogger’s style aligns with the aesthetic of your products. Can you really envision them using and loving your products? Try to mix it up so you don’t always gift to the same people. My two cents: Try to find people that are already sharing about your products or similar types of products. They are even more likely to share if they are already a fan. 2. Reach out to make sure they’re interested. Narrow your list to 5-10 people to gift product to, then email them to make sure they are open to receiving your product. You’ll have to email them anyway for their address, but this gives them the opportunity to politely decline if someone passes- they are just being respectful of you if they know it’s not a good fit for them. 3. Wow them with your package. It’s all in the presentation! Do a creative wrapping job, send it in a colorful bubble wrap with fun tissue paper, etc. Include a postcard or something with your branding along with a hand-written note. This is a great way to share where people can buy your product and any relevant tags/hashtags you are hoping they’ll share. 4. Have no expectations. If you’re not offering to pay for them promoting your items, you shouldn’t necessarily expect a blog or Instagram post. When you reach out, let them know that there are no strings attached so they will feel like they can share it in a way that’s as natural as possible. My two cents: When I’ve given my products to bloggers with smaller followings, I’ve gotten a bigger return on the type of content they share. For example, it’s more likely that you’ll get a dedicated Instagram post or blog post from a blogger who is just starting out. With larger influencers, I usually only expect an Instagram story or to be tagged alongside the other brands they might be getting paid to promote. You never know- if they really love it they might share in a big way, but this has been my experience when gifting my Turkish towels. 5. Just keep your fingers crossed that they will love it and share it in some way! Typically influencers that know something is coming ahead of time will usually share in some way. It can be great to reach out to bloggers, and other times they might reach out to ask for your products. If you aren't comfortable gifting, the best way to decline (well, the way that I most like being turned down) is to say that you have already reached your gifting budget/limit for the time being. Try following Joy’s steps if you're doing the "pitching", and it will most likely help you spread the word about your awesome products! If you enjoy learning about entrepreneurship, blogging, and social media, read more free resources in the Social Media University section of my site.